The social media marketing landscape is ever-changing. In general, it’s getting harder and harder to grab the attention of your target audience and build their trust. However, there’s a great tactic that’s virtually guaranteed to improve the return on your social marketing and it’s all to do with how you target your audience. In fact, it’s fast becoming the only way you can really engage your audience in the face of increased competition on the web. Every brand has a target audience. However, quite often, it is defined broadly. For example, you’ll hear a lot of businesses use “young professionals” or “mums” as their core target audience. Sometimes it’s more specific like “men who play golf” or “teenage girls who like pop music”. Whilst your brand may very well have something to offer these audiences, you’ll have an incredibly hard time engaging them over social media. There are hundreds or even thousands of businesses targeting the exact same audience. Even if you don’t directly compete with those brands, you’re competing for that audience’s attention, affection and maybe money. Trying to get these guys’ attention? So is everyone else. Say you’re marketing your funky £40 golf sweaters to men aged 25-45 who list ‘golf’ in their interests. Your brand is up against Nike, Callaway, Mizuno and Ping, who are probably looking to sell them the full caboodle; clubs, balls, shirts, shoes and all. This means you’re up against tens of millions of pounds worth of creative content, community management, and promoted post budget when it comes to getting in front of that target audience. Unfortunately, you’re also up against Sky Sports and ESPN, golf tutors, and even computer games producers. They might not be your competitors but you are competing with them. Now, this isn’t to say you won’t make sales through paid Facebook advertising, for example, but those ads could certainly be performing better for you. The second issue is that having a broad audience gives you a content headache. Trying to market to young professional men? What content do you create? Their interests are far and wide. Maybe you thought of fashion. Designer watches? Barber shops? Upmarket bars and restaurants? GQ? Men’s Health magazine? Where do you start? The chances are your content is very hit and miss with any given individual. They resign themselves to the fact that they have to plough loads of money into content creation and paid ads to gain any traction, whatsoever. That reach, those likes, and those web clicks don’t come easy – you’d better have a massive marketing budget! But the truth is, it doesn’t have to be that way. Here’s the tactic you need. Who needs to know about their super-niche? Of course, you’d hope that all brands really knew what made their ideal customer just that – their ideal customer. They don’t. And big, established brands sometimes don’t need to – they have all the brand validation they need and a large, loyal fan base. Therefore, the super-niche is most valuable to small and start-up brands or those who have lost their way in their marketing strategy. But that doesn’t mean big brands shouldn’t find their super-niche too because these people are those most likely to turn into super-fans and brand advocates. Identifying your super-niche audience is the perfect way to start or revamp your social marketing strategy. What do we mean by “super-niche”? 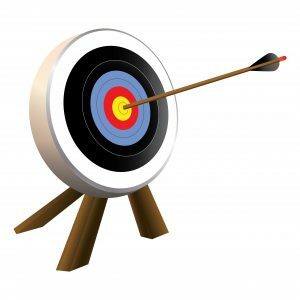 Think of your audience as an archery target. Your entire target audience sits on that target. However, those right in the centre, in the gold rings, represent your super-niche. As you move outward, through the red, blue, black and white rings, the audience gets broader and less specific or ‘niche’. Whereas your target audience might consist of 1,000,000 people in total, there might only be 10,000 or fewer in the gold. The people that sit in the gold centre should be biting your hand off for your product or service. If you can’t sell it to them, you can’t sell it to anyone! Say you have an e-commerce scarf brand that sells expensive scarves to men. Virtually every man who goes outside (in the UK!) owns a scarf, so there is potentially a massive, multi-million-strong target audience (even if these scarves are on the pricey side!). In order to a) achieve better bang for your buck on paid ads and b) have a better idea of what content you should share, you need to find your super-niche. Who is your perfect customer? In this case, they may be a fashion-conscious man, who spends a good proportion of his disposable income on clothes. Which magazines does he read? Which brands does he buy? If you had to choose his perfect age, what would it be? You may now have a super niche of men, aged 30-35, who live in Fulham, read GQ and who own some items of Ted Baker clothing, with which your scarves go particularly well. This now makes your life a whole lot easier when it comes to targeting your ads and creating your content. Your slightly wider niche might include men aged 28-40, who live in West London, who are interested in fashion and shop at Selfridges. Then it’s men who live in London, interested in fashion with an above-average income. Then men in the UK. Of course, marketing to the women who consider buying them as gifts is always a good move. Children’s storybook company Clever Tykes have a target audience including parents with children ages 6-9. Of course, this is a vast audience. Their super-niche is parents who are already attuned to bringing their children up to be entrepreneurial. In fact, they tend to be self-employed themselves. Self-employed and business-owner mothers of children aged 6-9 is a far smaller audience. Far easier to target, far easier to find content for. There are also dozens of collaborator accounts happy to entertain cross-promotion, rather than enter a bidding war! So here’s the really frustrating thing. Like, really frustrating. Social media is an attention-grab-fest. This means, for that attention, you’re not only competing with competitor brands, but collaborator brands too. Even the most synergistic and complimentary of brands, products or services is waging all-out attention war with you. Okay, a tad dramatic, but it’s true. Provided a company shares your target audience, or a decent proportion of it, you are in a bidding war. Even putting paid advertising to one side, you’re still competing for your audience’s attention with your content. Of course, social media users still have to wade through cats doing daft stuff and promising Buzzfeed headlines directing them to ultimately disappointing and unfulfilling articles. You need to compete with the fewest brands and companies as possible. Get uber-specific. Targeting your super-niche is social media’s equivalent to bidding on long-tail keywords with Google AdWords. Bidding on long tail keywords like “fashionable men’s scarf brands London” as opposed to “men’s scarves” has two major benefits. First, it’s way cheaper. Second, anyone who shows an interest is already qualified – they’re specifically looking for a London-based company and they’re fashion conscious. Your landing page or website is probably already geared towards resonating closely with this individual. The same logic can be applied to honing in on your super-niche on social media. 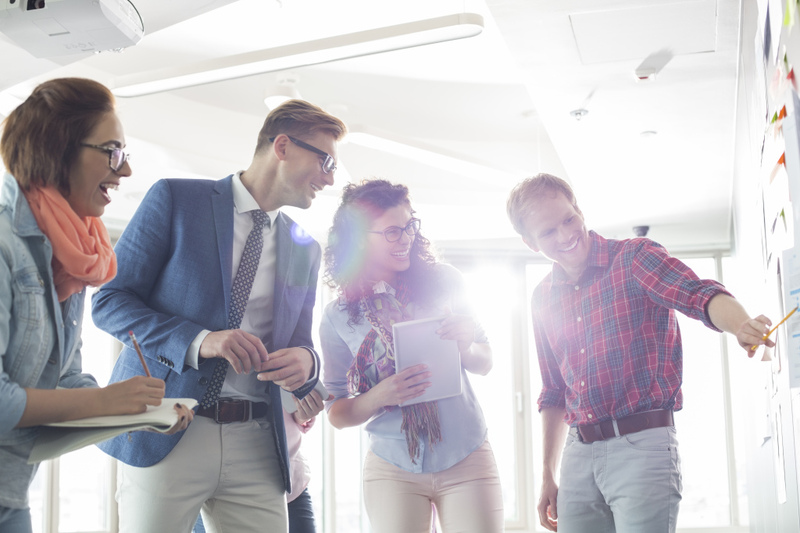 Yes, you’re targeting fewer people, but those people are far more likely to be interested in your business AND fewer people will be singling them out with their marketing efforts. There is one caveat to bear in mind, however. If you end up making your potential ad audience too small, you are likely to pay more per impression and per click. Ensure you play around with your audience when setting up your Facebook or Instagram ad to make sure you have the best of both worlds. As if super-niching your audience could get even juicier! Well, it does, and this is why this tactic is becoming increasingly important. We all know how noisy social media is – we see that every day for ourselves as consumers. What do you actually spend time watching or reading? It’s the stuff you find interesting and the stuff that really ‘gets you’. Successful content marketing begins with creating something unique that your audience loves. It’s almost impossible to create fresh content that is going to really hit home with the millions of people in your broader target audience. Adopting a smaller, more specific niche will give you more ideas about how to really ignite their interests with content. By creating content that is unique to your brand, that your audience cannot find elsewhere, and that informs, entertains or inspires that core audience, you’re far more likely to generate traction. Combining (1) creating unique, entertaining content that (2) is targeted at exactly the right people, makes for a compelling social media strategy. You’re reducing the cost of exposure, you’re creating content that will resonate with your target individuals and, therefore, are maximising the chance of engaging them and converting them into customers. Today’s buying process is complex and consumers are seeking brands that represent them as closely as possible. Focus on building a rapport amongst the true core of society that you designed your products or services for. You’ll be amazed at how much more attention your brand gets when your audience and your message is properly focused. You’ll also find that once you have on-boarded this niche, their networks will begin playing a role. Your super-niche is your path to a broader audience; fill the gold rings and you’ll spill into the red. One by one, members of your wider audience will buy into your brand as they see others doing so. This is truly one of the keys to a great social media marketing strategy.